Lively masala chai spiked with an invigorating burst of espresso. 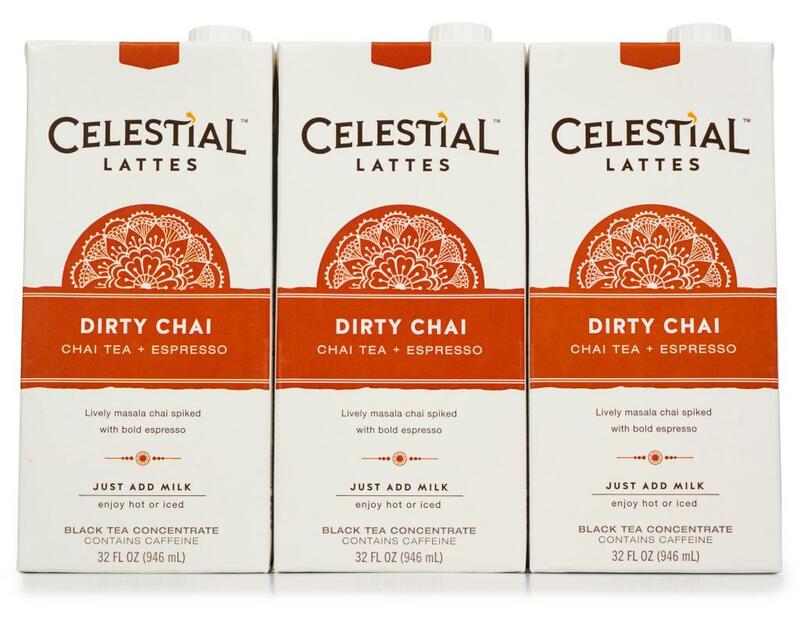 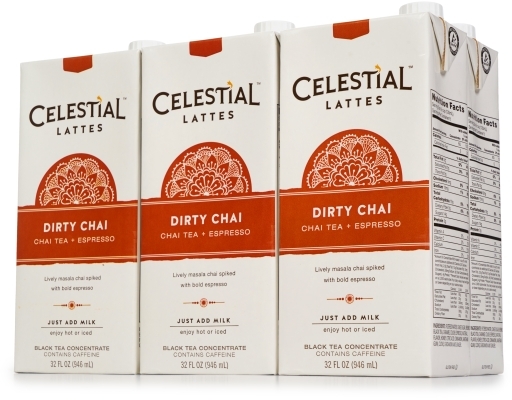 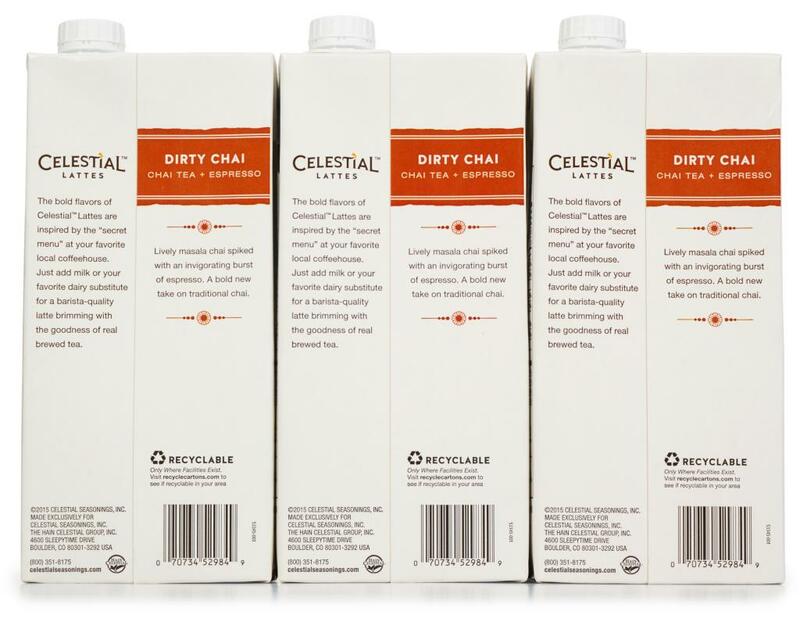 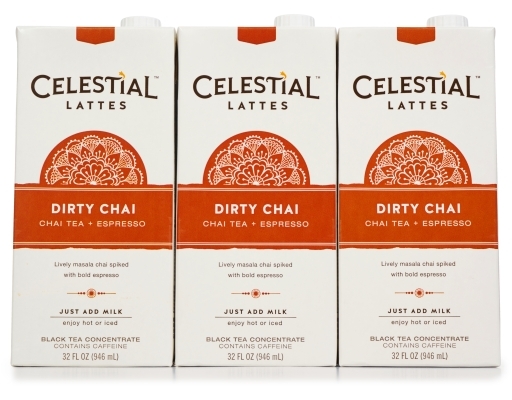 A new take on traditional chai. 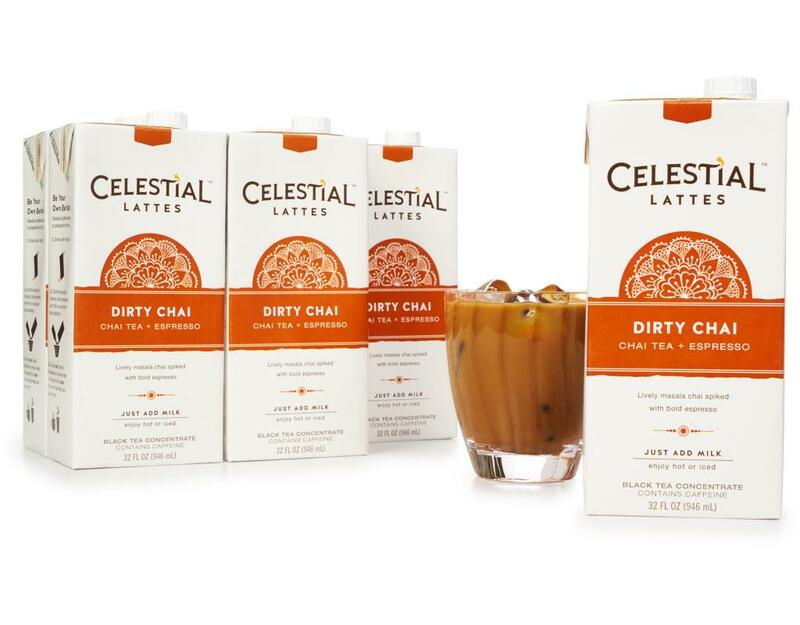 The bold flavors of Celestial Lattes are inspired by the “secret menu” at your favorite local coffeehouse. 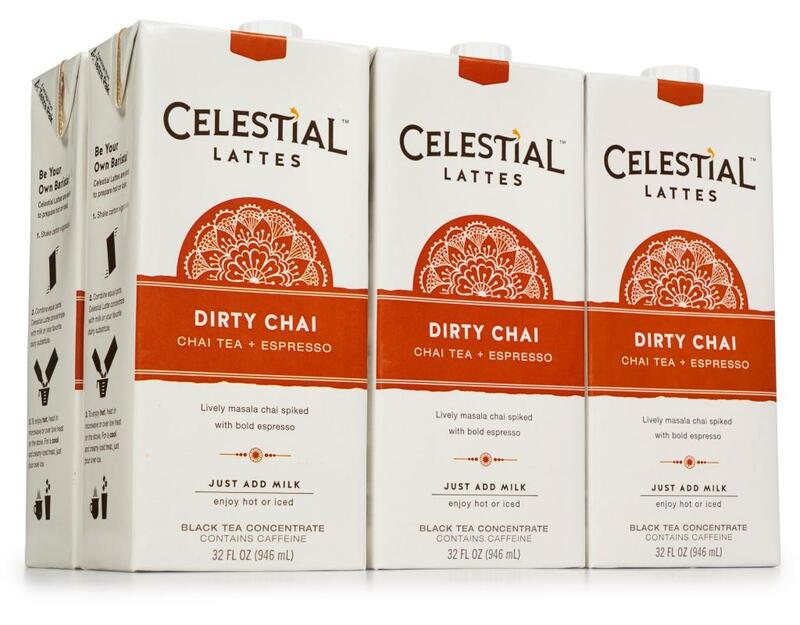 Just add milk or your favorite dairy substitute for a barista-quality latte brimming with the goodness of real brewed tea. 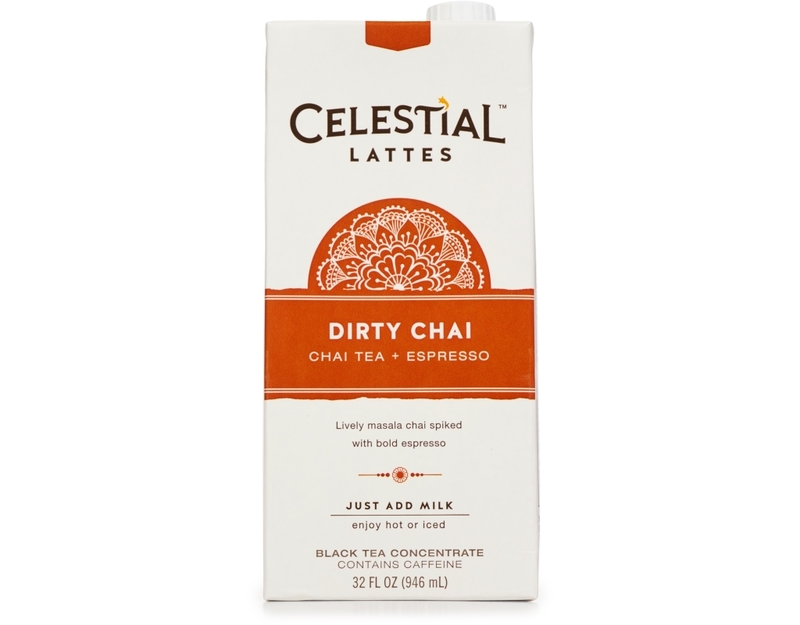 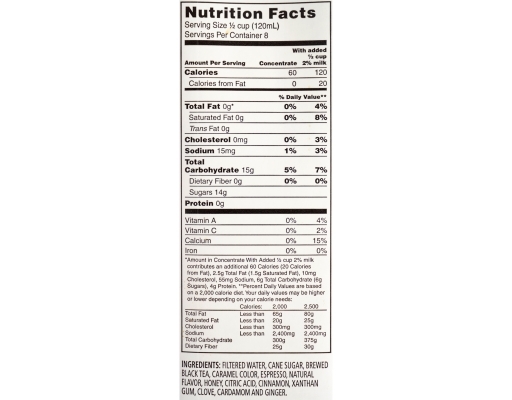 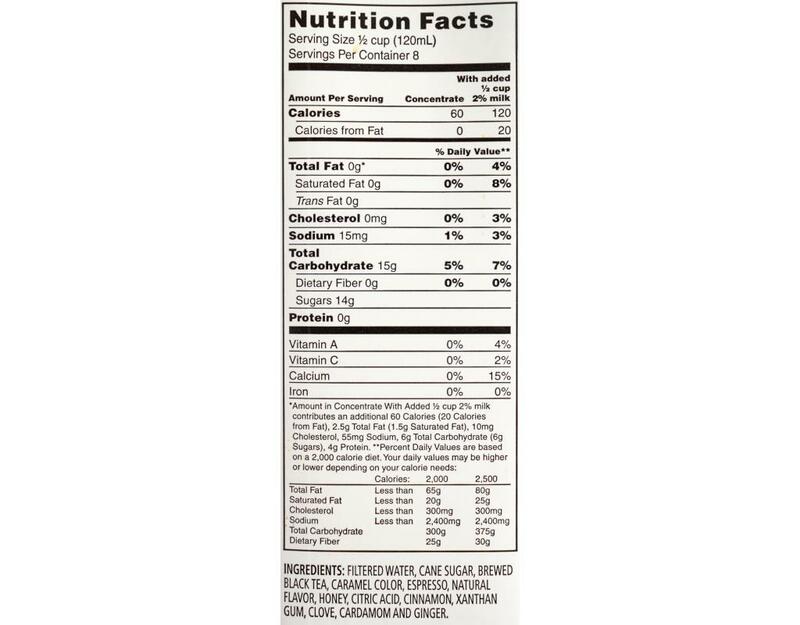 Black tea concentrate contains caffeine.